Whether it’s a get together with friends, or sharing a meal with family, create a dining space where all can enjoy with furniture from Ramsey Furniture and Mattress. 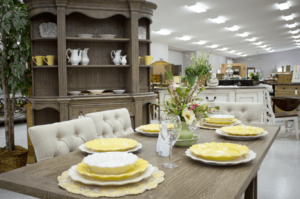 From pedestal table to various table heights, you’ll be able to find the right furniture for your style and home to entertain family and friends. From formal to casual sets, furnish your dining room with quality furniture from all the top brands.